When non Sydney-siders think about Sydney Harbour they usually assume the term refers to the part of the waterway where one can see the Sydney harbour Bridge and the Opera House. It is so much more. The natural harbour of Sydney is Port Jackson which is comprised of the waters of Sydney Harbour, Middle Harbour, North harbour, Darling Harbour and the Lane Cove and Parramatta rivers. The harbour is an inlet of the Tasman sea and the location of the first European settlement on the mainland. I recently bought the new Lamy LE copper pen. The pen itself is ok but I probably shouldn’t have bought it with a fine nib – my problem. I didn’t order the ink as I have never been particularly impressed with the colours of the ordinary Lamy inks but I was sent a box of cartridges and cut one up to help with this review. Some background on the seven Japanese Gods of good luck was included in my review of Fukurokuju. Also included in that review was some information on packaging and price. The 100th anniversary inks are becoming very hard to find even online. According to the Goulet Pens website they are receiving their stock of the ink in April (I’m writing this March 30) and it will be $US30 a bottle. 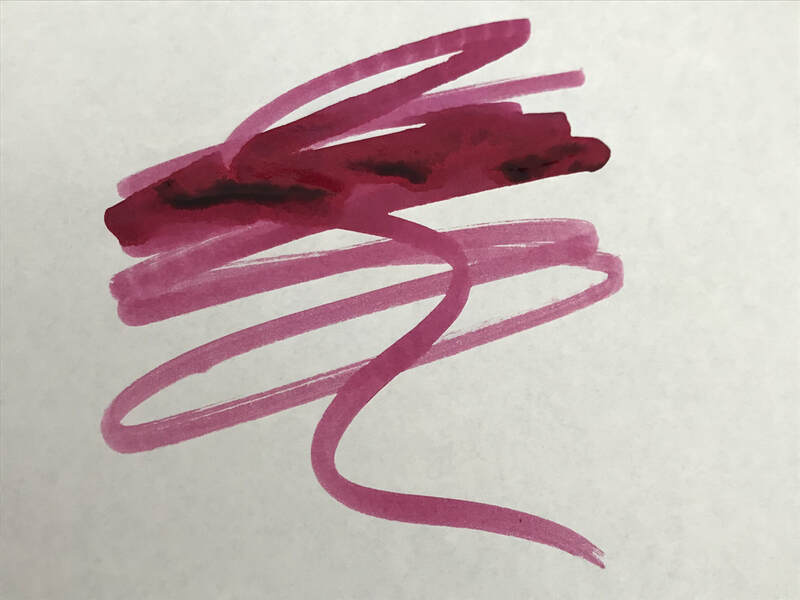 Lamy released their crystal inks in 2018, they are aimed at the premium end of the market and are priced accordingly. 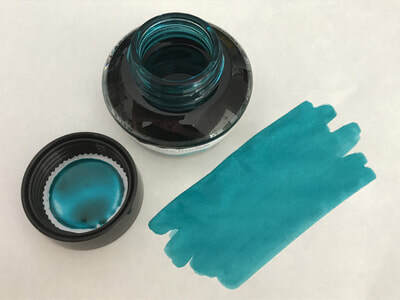 It is not clear why they named them crystal inks when other companies most notably Pelikan and Monteverde have used the name before for a range of inks. Shichi Fukujin are the Seven Japanese Gods of luck and good fortune. They symbolise the following virtues: Honesty, Fortune, Dignity. Amiability, Longevity, Happiness and Wisdom. They were chosen from Hinduist, Buddhist, Taoist and Shintoist gods or saints, and settled into Japanese Folklore Gods, believed to have been grouped together around 17th century. According to Japanese legend, they travel in a ship called Takarabune which is filled with treasures and comes from sea to bring fortune and prosperity to everyone. It is said that if you leave a picture of the Shichi Fukujin below your pillow on New Years eve you will be lucky and have good fortune for the following year. The last and longish review of three great colours to round up the nine inks. I must admit I am over these inks and am glad to be doing the last three, I have so many more bottles of ink to get through. The Ginza or number 3 line is the oldest subway line in Asia opening in 1927. It has 19 stations and is the 7th most crowded line, running at 168% capacity. Being the oldest line it runs the closest to the surface with many of its stations only being 1 to 1.5 stories under ground. The western end of the line emerges to the surface and enters Shibuya Station located on the third-floor of a building that is located in a depression. There has been a delay between reviews but here we are with review number 4 of the Tokyo Metro Colors and this will be brief. The two colours today were so insipid and uninspiring I couldn’t bring myself to ink a pen but I am including them here for the sake of completeness of the set of 9 inks. Review three of the series and this time two inks. Information on how I obtained these inks can be found here. The Nambuko or number 7 line is one of the newer lines in the metro featuring advanced technology such as fully automated train operation and platform screen doors. All the trains on this line use 6 cars despite the stations being able to take 8. The name literally means South-North line. Here with are at review number two. The first two inks in the box on metro colours are red and orange and I feel I have reviewed similar recently in Nemosine inks (Aeolis Palus red and Solar Storm) so decided to start at the end and work backwards. Information about how I obtained these inks can be found here. The last ink in the box is the Fukutoshin Line. BUNGU BOX is a fountain pen store located in Hamamatsu, Shizuoka (half way between Tokyo and Osaka). As well as pens Bungubox has established a name for its inks better known as Bungbox inks. The inks are influenced by the climate, natural features ad seasons of the Hamamatsu region. Irrespective of this they are made by Sailor so many will be similar in colour to Sailor inks. 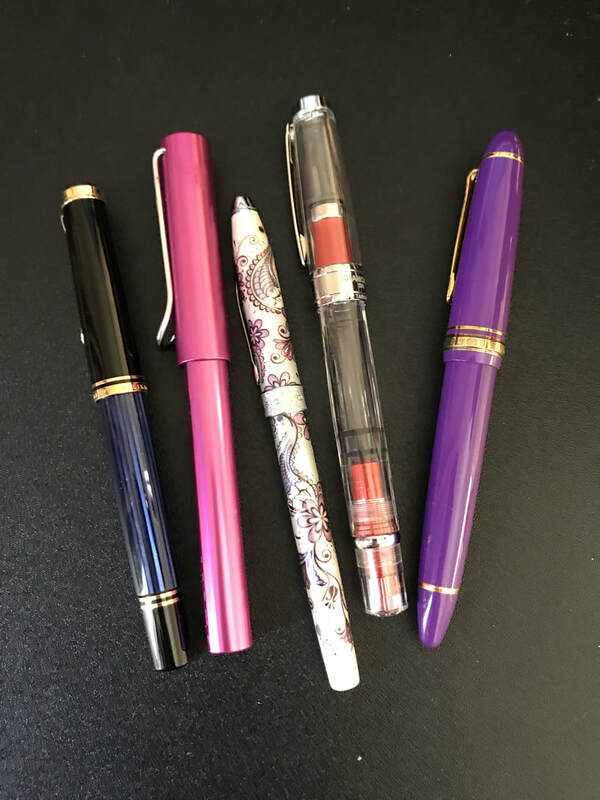 Originally the inks were hard to buy outside of Japan but a number of American retailers sell them most notably Vanness Pen shop in Little Rock. All the Bungbox inks I have purchased I have bought through Massdrop.